When it comes to decorating, your shelf space is your only limit. The staff at the Brattle Book Shop has the experience to help you get your decorating project done. Whether filling shelves with luscious leather bindings, outfitting movie sets with oversized atlases, or finding the right collection to display in your summer home, we're prepared to help you get the job done. At the Brattle Book Shop we are ready to help your vision become reality. Know exactly what you're looking for but don't have the time to do the work? Let us pull and pack the books for you. Know you're interested in decorating with books but unsure what your budget and vision may allow? Let us help guide you through the process and find the right books to meet your aesthetic, time frame, and budget. Below you'll find a sampling of what our shop has to offer. Along with what is listed below, we often have in stock other decorative volumes such as Library of America, Folio Society, Limited Editions Club, and more. Please call or email us to inquire further. With our expansive, ever-changing stock, our creative staff looks forward to helping you put your project together. We regularly stock leather sets of various size, price and style. Whether you're looking for eight feet of leather or one special set, we'll help you find it. Looking for something uniform but leather isn't your style? We regularly stock a wide selection of cloth sets in varying color and size. We sell odd volumes of leather bindings at $25/volume. Find single volumes in varying colors, conditions and binding styles to create a varied but beautiful aesthetic. Love pictorial covers and interesting colors? Check out our selection of decorative cloth bindings. 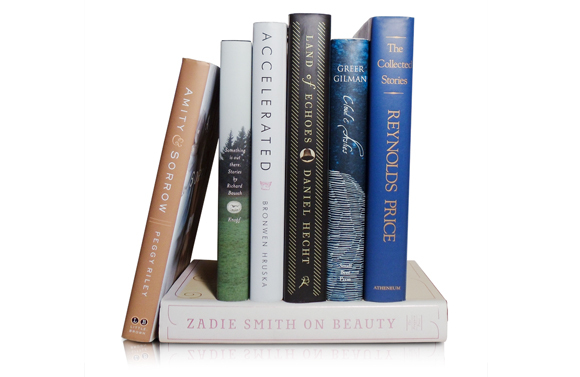 From gilt-stamped spines to illustrated covers, these books are great facing spine or cover out. Do you need ten feet of red books immediately? Or maybe you're looking to fill your shelves with a library full of good reads. Whatever your need, we have two floors and more of ever-changing hardcover books. 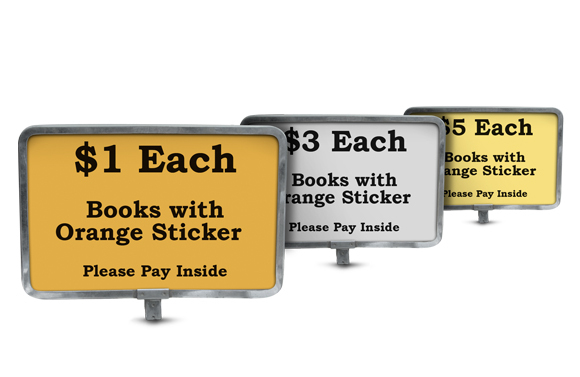 Whether you decide by style or subject, with books starting at $1 we can help fill your order. The Brattle Book Shop features an outdoor sale lot with books priced $5, $3, and $1. 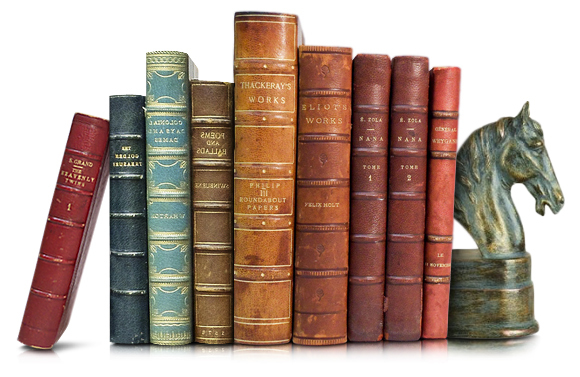 The stock changes daily, and we sell everything from books printed in the 1800's to bestsellers of the last 10 years. Love the look of leather but want something more modern? Easton Press and Franklin Library are a beautiful leather alternative to antique bindings. 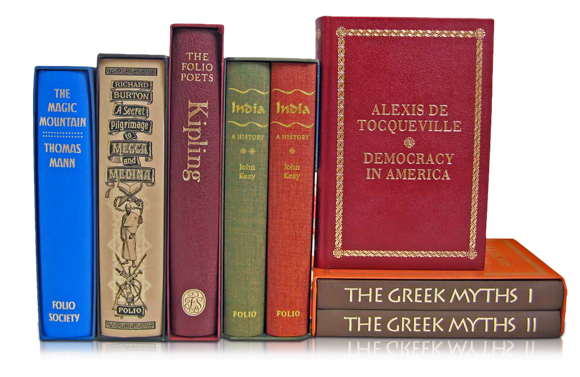 Famous titles bound in bright colors, we regularly stock a wide variety of styles and titles. Full leather volumes start at $25/volume, half leather at $15. We stock a wide range of oversized art books, from monographs to catalogues and more. With some volumes as low as $5/each, these books are a beautiful addition to any library or home. Ask for a certain artist or genre, or come browse to discover something new. Interested in renting books for a short term project? Give us a call at 617-542-0210 or toll free 1-800-447-9595 or email info@brattlebookshop.com and we can tell you about our rental policy.